Brad Marchand's shot hits off a skate and into the net for the winning goal. 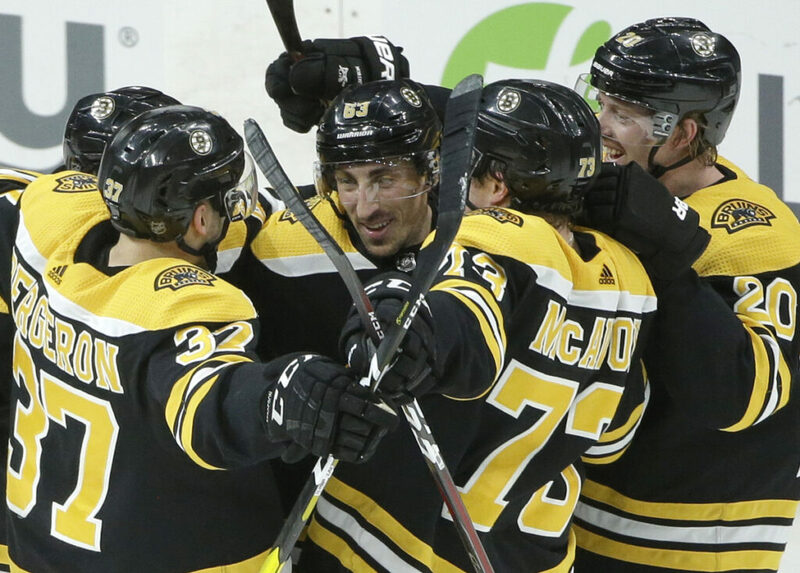 NOTES: Boston improved to 8-1-2 in the second of back-to-back games this season. Colorado dropped to 3-3-2. … The Avs had won four straight against the Bruins and were 12-2-1 in their previous 15 games in Boston. … Bruins RW David Pastrnak’s seven-game points streak (four goals, seven assists) was snapped. … Boston D Matt Grzelcyk (lower body) was out for a second straight game but will skate Monday and could return Tuesday against Chicago. … Bruins D Steven Kampfer re-joined Providence of the AHL on a conditional loan.